South Carolina has long been a great destination for RVers. This southern and east coast state is packed with culture, things to do, places to go and some excellent food. With so many different excellent options it may be difficult to know where to go and stay. That’s why I’ve put together my top five RV parks, grounds, and sites for the Palmetto State. Stay at the Barnyard RV Park to get to the heart of South Carolina. This highly rated park brings you plenty of amenities and facilities. 129 RV sites bring you 30/50 amp electric, water, sewer along with free Wi-Fi and cable TV. All restroom, bath, and laundry facilities have full air conditioning to keep you cool on hot Carolina days. There is also a large rec room available for use if you’re in a large group or rally. The prime recreation area of Lexington can be found at Lake Murray. Lake Murray has an area of over 50,000 acres available for all your on water fun like boating, skiing, tubing and some incredible fishing. Lexington is also home to several historic homes, churches, and sites. You also have the Riverbanks Zoo and Garden for the kids on top of the Carolina State Museum and Colonial Center. Use this public park to experience all of the unique culture and fun of Charleston. The amenities of the Campground at James Island County Park are just fantastic, especially for a publicly owned park. Sites come with 20/30/50 amp hookups, water and sewer hookups at most sites. Bathhouses are constructed of rich ceramics instead of cheap materials. Add on laundry facilities, grills, fire rings, full-service camp store, and activity center and you have one heck of an RV park. The park is surrounded by tons of trails that you can hike or bike to explore the richness of Charleston. There are over 16 acres of water for freshwater fishing, a tidal creek crabbing and fishing dock, playgrounds, open fields, dog parks, watercraft rentals even a large water park. You can also take a shuttle from the campground to explore all the nooks and crannies of vibrant Charleston. This lovely RV park has received several awards and you’re welcome to it to see why. Ocean Lakes Family Campground has almost 900 transient sites! All come equipped with 20/30/50 amp electric, water, sewer, cable TV, Wi-Fi and a picnic table. You can choose from several RV sites such as oceanfront, lakeside, and shaded sites. There are several bathhouses and laundromats along with a sprawling two-acre recreation complex, a café, onsite restaurant, even a large RV supply center where you can get your routine maintenance performed, purchase RV goods and even buy a new RV. Of course, you’re at Myrtle Beach so the first thing you probably want to do is hit the beach with a big drink in hand and we encourage you to do so. Myrtle Beach is packed with hundreds of other activities and sites including amusement parks, fine dining, championship golf, excellent shopping and plenty more. Whatever you’d like to do, Myrtle Beach likely has it. If you’re not much of a beach person have no worries as there’s more to South Carolina than just beaches and Solitude Pointe proves that. Unlike many other RV parks, Solitude Pointe gives you, well, solitude. Your private site comes with 20/30/50 amp hookups, water, sewer, a grill, picnic table and here’s the kicker, private bathhouses facilities. There is also a playground for the kids and Solitude Pointe loves to host groups and rallies. Solitude Pointes offers fishing, tubing or canoeing right off of the resort at the Saluda River but that’s only the beginning of the beautiful landscape that surrounds you. Fans of waterfalls will love hiking around the rolling hills of the surrounding area and catch sights like Looking Glass Falls, Twin Falls, and Wildcat Falls. The gorgeous Caesar’s Head State Park and Mountain Bridge Wilderness Area are all open to your exploration as well. 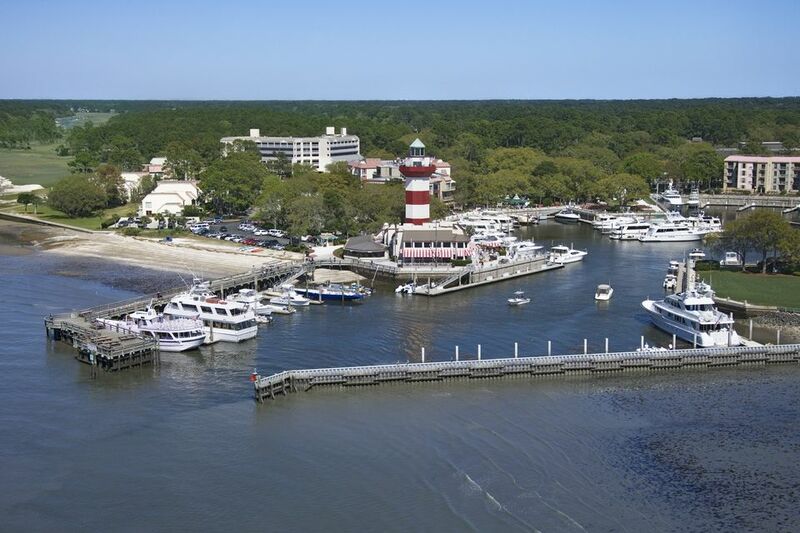 Hilton Head Island Motorcoach Resort comes fully stocked and nestled on the lovely Hilton Head Island. They called themselves a resort and they certainly have many amenities to back it. Every site comes with 30/50 amp hookups, water, and sewer hookups as well as free cable TV and Wi-Fi access. The bathrooms, showers and laundry facilities are kept immaculate and bright. You have gated security, an on-site lake, a lounge, heated pools, fitness center, even a dog park. Hilton Head Island has long been a gorgeous tourist destination. You can head to the beaches to kick up some sand or splash around in the water. There are also several wildlife preserves, kayaking on some the marshy waterways, boating and fishing in the Atlantic, miles of bike paths and of course dozens of famed restaurants and other great tourist destinations. South Carolina gives you a taste of the south, along with the beauty and wilderness that comes with it.